This decreasing term insurance helps to avoid financial loss in the event of a borrower’s death or if the borrower becomes sick, disabled, or unable to work. Credit life will pay the remainder of the outstanding loan balance, and credit disability will make required payments up to policy limits. Hybrid CPI is a dual interest policy that is designed to lessen administrative workload and protects a financial institution’s interests when borrowers don’t maintain proper insurance on their vehicles. The Hybrid program has an accelerated notice cycle and is less expensive than a traditional CPI program. A single interest, all-risk blanket coverage with optional insurance tracking services on all consumer collateralized loans. This program is designed to reduce insurance lapses by sending cycle notices on selected collateral types, in addition to standard blanket coverage. This flexible vehicle service contract protects borrowers from the unexpected costs associated with repairs. It can be purchased at any time and offers coverage on vehicles up to 11 years old and with up to 150,000 miles. Leveraging Collateral Management Systems, such as global positioning systems (GPS) and starter interrupt devices (SID), enables portfolio growth with added protection. These tracking solutions are designed to improve payment performance and reduce delinquency rates and repossession expenses. This risk management program increases profitability and yield on loan portfolios by reducing losses on defaulted loans. The program purchases repossessed vehicles from lenders at higher values than auctions or bids and provides a principal reduction payment to further reduce deficiency balances. 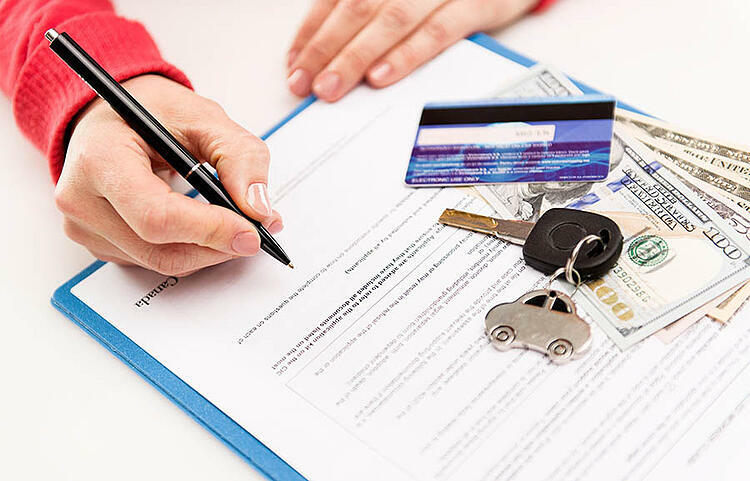 This innovative balloon loan program offers borrowers title ownership of a vehicle with the benefits of a lease, such as low monthly payments and short term financing. Similar to a lease, borrowers have options to walk away, keep, or sell the vehicle at the end of the loan term when the balloon amount is due. It can be used to finance new and used vehicles and requires sales tax to be paid up front. Give your borrowers a smarter, worry free loan. If a borrower loses a job, suffers an illness, or experiences unexpected circumstances, this product can help take the stress off during that time. Our Vehicle Return Plan allows a borrower to return the vehicle, free themselves from payments, positively eliminate their loan, and protect their credit. Plans and options may vary by state, dealership, and financial institution. Contact us for available coverage options and program details.